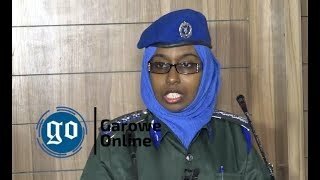 GALKAYO, Somalia Oct 15,2014 (Garowe Online)-Galmudug administration in central Somalia has voiced opposition to the agreement Tuesday signed by Mogadishu-based Federal Government and Puntland, calling the bilateral deal ‘unconstitutional’, Garowe Online reports. 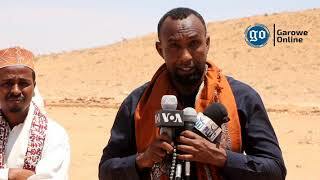 Speaking to the media on Tuesday, Galmudug leader Abdi Hassan Awale Qaybdiid said, the formation of Federal State consisting of a region and half runs counter to the Provisional Federal Constitution: “That agreement doesn’t comply with the Constitution, it would turn the communities against each other and the 12 point-agreement seems invalid”. 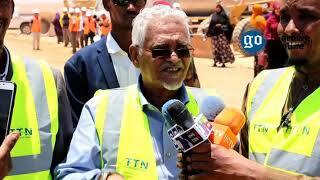 Qabdiid added that the tripartite deal by Galmudug authorities, Himan and Heeb local administration and the paramilitary group of Ahlu Sunnah Wal Jamea on July 30 paved the way for the founding of a two-region autonomous state. 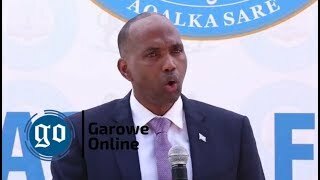 “The Prime Minister is dividing the country along tribal lines,” said Galmudug leader in pursuit of the inclusion of Mudug region in the central state map. 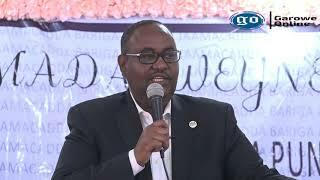 Meanwhile, Federal Government of Somalia’s Deputy Minister for Foreign Affairs Mahad Mohamed Salad who is now on visit to Galgaduud has deemed the deal reached by the two sides in the presence of International Community representatives ‘illegitimate’. 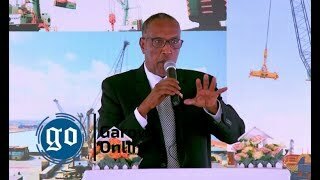 Puntland struck a 12-point agreement with Somalia Federal Government on October 14, with UN, EU, IGAD and Ethiopia envoys to Somalia present.